Eleven US senators are siding with Senate Minority Leader Chuck Schumer (D-New York) in the battle to block Judge Neil Gorsuch’s confirmation to the Supreme Court. Republicans are expected to deploy the nuclear option to thwart a filibuster. On Thursday, following the end of two days of testimony from Gorsuch to the Senate, the top Democrat in the upper chamber threatened to lead a filibuster to prevent a Senate floor vote on the nominee. Schumer called for Democrats to join him, as it takes 60 votes to overcome a filibuster, and Republicans hold only 52 seats. As of Thursday evening, 10 Democrats and one Independent joined with Schumer, a group supporters online are dubbing Team Spine. Those senators include Democrats Tom Carper of Delaware, Ed Markey and Elizabeth Warren of Massachusetts, Cory Booker of New Jersey, Kirsten Gillibrand of New York, Sherrod Brown of Ohio, Jeff Merkley and Ron Wyden of Oregon, Bob Casey of Pennsylvania, and Tammy Baldwin of Wisconsin. Independent Senator Bernie Sanders of Vermont also vowed to support the filibuster. Republicans would need eight votes from the remaining 36 Democrats and one other Independent to reach the 60-vote threshold. Seven of those Democrats are up for reelection next year in states President Donald Trump won in 2016, but Team Spine already has three Democratic senators in the same situation on their side. 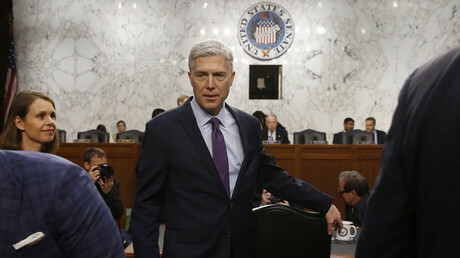 It would be nice for the GOP if they could confirm Gorsuch before Easter recess April 7, so it is widely expected that if they can’t reach 60 votes, Senate Majority Leader Mitch McConnell (R-Kentucky) will invoke the so-called nuclear option, whereby 51 votes can bypass any rule or precedent in the chamber. 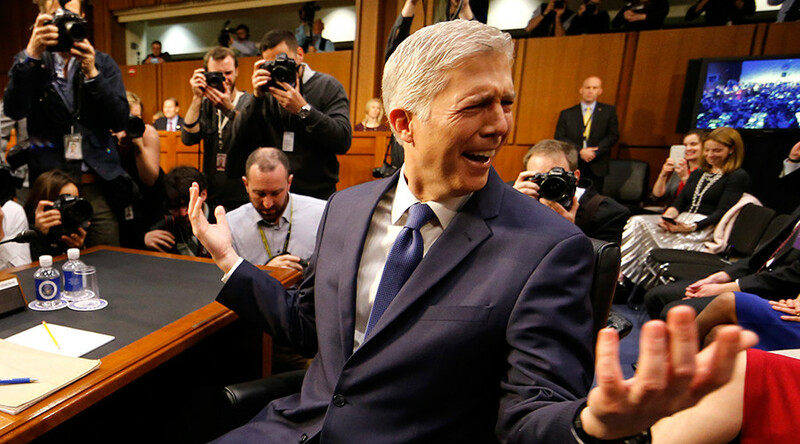 “If Judge Gorsuch can’t achieve 60 votes in the Senate, could any judge appointed by a Republican president be approved with 60 or more votes in the Senate?” McConnell said this week, the Washington Post reported. Schumer and other critics of Gorsuch have called him an ideologue unable to independently rule under a Trump administration. The US Appeals Court judge for the 10th Circuit has had his previous rulings on matters of women’s reproductive health, civil rights, election laws, and education questioned. His work in the Justice Department during the George W. Bush administration, helping to craft arguments in favor of enhanced interrogation, or torture, has also been the subject of criticism by civil liberties organizations. “It breaks with the tradition of how the Senate has handled Supreme Court confirmation votes in modern times and represents the type of partisanship that Americans have grown tired of,” White House press secretary Sean Spicer told reporters Thursday. Spicer noted that in February 2016, President Barack Obama expressed regret over his participation in the 2006 filibuster of then-nominee Supreme Court Justice Samuel Alito. Alito was confirmed in a 58-42 vote after 72 senators voted to end that filibuster. Aside from that case, all Supreme Court nominees of the last 47 years have received at least 60 votes.